The Volunteer Stewardship Program assists the National Park Service by coordinating volunteer activities. 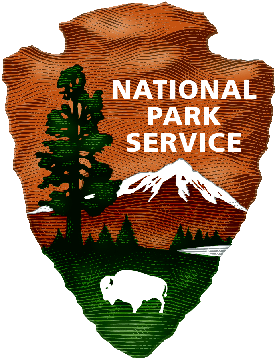 There are several opportunities for volunteer stewards to provide an extension to the parks “boots on ground” philosophy to enhance the visitor’s experience and protect the parks' resources. For more information on volunteer opportunities contact us. Volunteers assist Cultural Resources' staff with monitoring and documenting archaeological sites located in the four national parks of southeast Utah. The stewards will monitor their assigned sites for impacts and provide important data that allow Cultural Resources' staff to maintain an on-going log of natural or human-caused changes. Watch a news story on the Site Stewardship Program: Environmental "guardian angels." Volunteers will assist the Park Service with monitoring graffiti in the parks. Volunteers will work closely with the Arches Interpretative staff to identify and report instances of graffiti. Where graffiti is an on-going problem, volunteers will be assigned a specific area and be asked to visit their site on a regular basis (especially in the Spring and Fall) to locate and report new graffiti. Volunteers will be visible and will be required to interact with visitors and educate the public on the laws regarding vandalism in the park. Watch a news story: Volunteers work to clean up growing graffiti problem. Read an Op-Ed in the Salt Lake Tribune: Corps of volunteers needed in Utah’s parks. Volunteers are assigned specific trails within one of the four National Parks in southeast Utah. They will monitor their assigned trail to ensure the trails are properly marked, look for any hazardous issues, and to interact with visitors. On an annual basis, for one to three days in late summer or early fall, the Volunteer Stewards may work closely with NPS Natural Resources' staff to assist with invasive weed removal in Arches, the Needles District of Canyonlands, and the Potash boat ramp. Volunteers will work closely with staff to identify and remove a variety of invasive weeds including ripgut brome, puncture vine, Russian thistle, tamarisk, and Russian olive. Volunteers may be asked to participate in special park projects and events as needed. On occasion, the National Park Service conducts special events such as the Arches Quarter Release and Public Lands Day. There may also be an opportunity to participate in one-time projects in which the park will need extra helping hands to assist in the completion of the project. All volunteers on the Friends Volunteer Stewardship roster may be asked to assist if available. Friends of Arches and Canyonlands Parks is a 501 (c)(3) charitable organization and an official philanthropic partner of the National Park Service. © 2017 Friends of Arches and Canyonlands. All Rights Reserved.